Louisiana State Police and Leesville Police responded to an accident on Highway 28 West in Vernon Parish on Friday morning involving an overturned 18-wheeler. 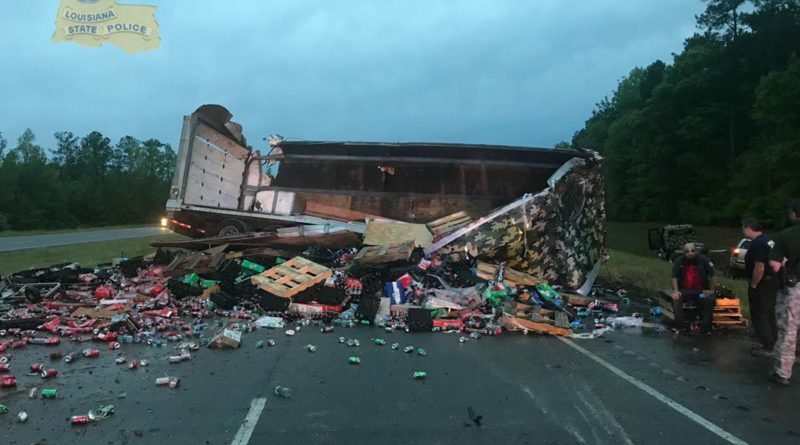 The 18-wheeler was carrying soft drinks that spilled across the highway when the accident happened. Authorities said that no one was seriously injured, but the driver was taken to a local hospital for minor bruising.